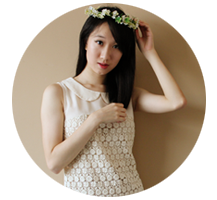 Other than the fact that she has an awesome name like me, Charlene blogs wonderful entries! (: And right now, she's conducting her first giveaway so do check her blog out! Hehe. XD Ru, guess what?!? We were from the same awesome JC too!!! Hahaha.